Westminster W Handyman Decorating & Painting| Quality Property Care Ltd.
Book the professional handyman services offered for both residential and domestic handyman tasks in Westminster W by Quality Property Care Ltd.! You can book a multi-skilled handyman for one or more carpentry, plumbing, painting and decorating or electrical services as well as for a number of odd jobs which needs to be done around your office and house. The expert and insured services are provided at extremely attractive handyman prices and will surely save you the time and effort of doing the task yourself or looking for a person to do the job for you. Call our company or send an online form to the customer care service to make a request about the handyman tasks you need to be completed, right now. Our team of handyman will also do decorations, on public and private properties, handle office and household jobs and also carry out decoration jobs on rented properties. 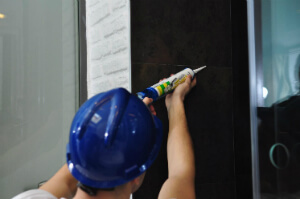 For households we perform exterior and interior paint jobs, plaster and skim walls ceilings, re-seal bathrooms and kitchens, fit kitchens and bathrooms, re-tile and re-grout walls and floors and quite a lot more. For businesses we can offer evening and weekend slots, a wide range of interior and exterior paint jobs, we can put up shelves, upgrade or install doors as well as bathroom or kitchen facilities. It’s possible to fit revoked ceilings, construct and re-position partition walls and fully redesign offices, retails areas, receptions, toilets, washrooms and meetings rooms. We also work with leased facilities and flats where our handyman can fill in cracks and holes, touch up paint, help with end of tenancy refurbishment, and even do budget renewal painting jobs. 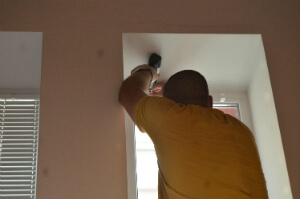 Along with wallpapering and all sorts of efficient and cost effective services all London landlords and property agents. We bring all of our equipment, you are not required to supply anything at all. We come organized with high ladders from 2 to 4 meters in height, drills, electrical equipment and plumbing and a full range of manual and power tools. The handyman can hang mirrors and pictures, fit curtains and blinds, put up shelves, mount TV’s and displays, change locks and handles, work on the fitting of doors and gates. We can also do flat-pack assembly, starting with furniture assembly, furniture repair, the installation of sliding doors, childproofing your home, lifting and moving furniture, the moving of heavy items and quite a lot more. You can also rely on us for general repairs, like boxing in, drought proofing, bath screen installation, gate and fence repair, easing jammed doors and windows as well the replacement of worktops. Electrical isn’t easy work, and that is why we can offer you with a fully trained and specified handyman electrician who can not only aid with small jobs, but also perform full household rewiring if needed. For homes we can change switches and sockets, fit dimmer switches, fit new doorbells and replace extractor fans. For businesses we do the replacing of transformers, the changing of switches, replacing bulbs and installation of dishwashers. For hired properties we do restroom and kitchen extractor installations, fitting of appliances, the installation of lighting and the installation of chandeliers. The handyman will hang pictures and decorative mirrors, fit curtains and blinds, put up shelves, mount TV’s and displays, change handles and locks, work on the fitting of doorways and gates. We can also do flat-pack assembly, starting with home furniture assembly, furniture repair, the installation of moving doors, childproofing your home, lifting and moving furniture, the moving of significant items and quite a lot more. You can also rely on us for standard repairs, like boxing in, drought proofing, bath screen installation, fence and gate repair, easing jammed doors and windows as well the replacement of worktops. Quality Property Care Ltd. is a professional handyman company with TEN years of experience in the field. We have acquired the objective to approach each customer separately and to provide him or her the most precise and personally arranged handyman service in Westminster W. We always try to be as effective as we can, so we also provide materials at small fee and at high quality in case you don't have such for curtain fitting, mirror fitting, mounting shelves, TV mounting, floor fitting, floor installation, flooring tasks of all types. All of our remodeling services, electrical services, plumbing services and hanging services are performed upon your request and in correspondence to your requirements and instructions. We always hear your at first and then offer you the most perfect and ideal for your chore! The property maintenance company Quality Property Care Ltd. in Westminster W is completely on your services. We can offer you furniture set up, flat pack, painting and decorating, all types of odd jobs, indoor and exterior fix-up tasks, hanging and wall installation: all at budget-friendly prices! General repair work has been never that simple and fast to be completed! Please, note that all of our handymen are fully insured and vetted. Your house and your personal belongings are at safe hands. We also take care of damages in case of omission! To book the requested handyman service, call 020 3746 4287 or fill out the online booking form right away, and you will receive written verification with the time and date of your booking slot. If you have an emergency, there is a probability of same day booking as well. The booking is hourly based, but for more complex tasks, or for a number of handyman tasks, you can book a half or full day package of handyman services. Go ahead, call now and get all those small issues in your office or home interior and exterior fixed!